A phone with a very unwieldy name, the Porsche Design P'9981 from BlackBerry is a reworking of the BlackBerry Bold 9900, with a very different case design and a few software tweaks along the way. Underneath, the P'9981 is identical to the 9900, featuring a 2.8" 640 x 480 pixel touchscreen display, a 1.2 GHz processor combined with 768MB of RAM and 8GB of internal flash memory, and a 5 megapixel camera on the back with 720p HD video recording. There's a microSD slot, Bluetooth, 3.5G support, WiFi and GPS, all running the latest BlackBerry 7 operating system. 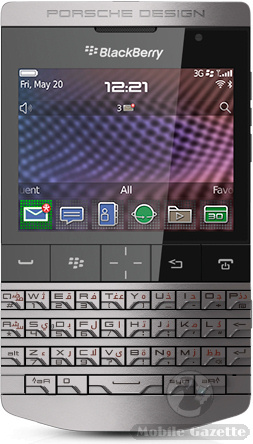 Most of the changes are external, with a stainless steel case, leather back cover and sculpted QWERTY keyboard that looks very different from a run-of-the-mill BlackBerry. It is slightly larger and heavier than the 9900 on which it is based.. but you can guess that it is a lot more expensive too. There's also a special version of Wikitude pre-installed and the P'9981 has a special PIN number for BBM users to identify it as something special. These are not exactly huge improvements over the standard BlackBerry 7 offerings though. 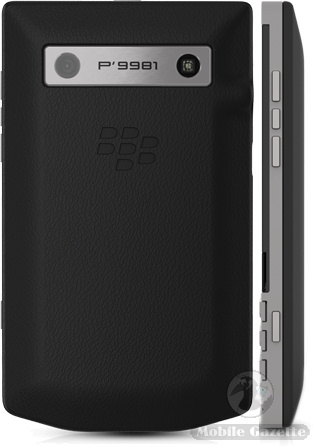 The Bold 9900 is a powerful device and is certainly a big hit with BlackBerry fans, so the P'9981 has sound underpinnings. Porsche Design have a reputation for making stylish and well engineered products for the discerning few who can afford them. But it seems to us that the elegant design has compromised the handset's ergonomics with a keyboard and navigation pad that seem to be more about style than substance. We don't know how much the P'9981 will cost, although we suspect that potential customers won't care. The handset should be available through Porsche Design outlets by the end of the year.